I didn't update my blog this week cox I was busy rushing my video production assignment & I'm so happy cox I'm ALMOST done with my entire assignment (left with the voice over part!) And I've posters to design too :( But after this week I have 2 weeks of holidays so I hope I will be hardworking enough to blog more often LOL . 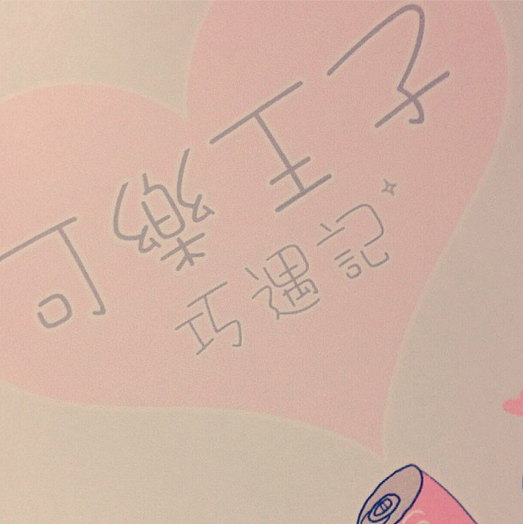 I designed this cover page for my video, super cute right! Okay back to topic ! The previous week I went to WTF cafe with Lynn & you all must be asking , what is WTF ? What the fxck ah? HAHAHAHA NO. WTF stands for = We're The Furballs ! Bascially it's a cafe where dog lovers can do there and grab a bite or some drinks and proceed up to the second level and play with the dogs. 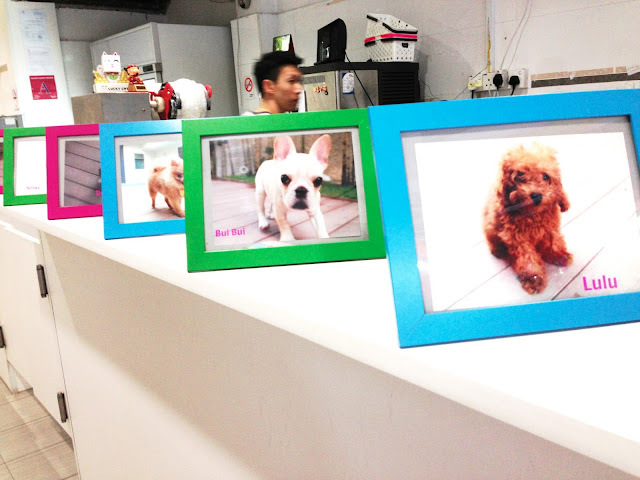 Here are some of the puppies in colorful frames! Buibui the pug on the left looks extremely unfriendly LOL. The entrance fee to the cafe is $7.90 , inclusive of a drink and you can stay there for as long as you want. I suggest that you go there on a weekday so you will have more chance to interact with the puppies. I was really excited at first but I got a little scared when I see so many puppies at one time and I strictly warn everyone going to the cafe to wear cheap + simple clothes and shoes there if you do not want your branded stuff to get spoilt by the puppies. I GOT ATTACKED BY DUCHESS. She attacked another girl's shirt also and there was a hole in it LOL. On the other hand, Lynn is having fun with Lola! Apparently it gets a little boring after awhile cox some of the puppies are really aggressive despite their cute looks :x Like it will growl at you if you try to get near them. She is forever barking and bullying other puppies one! She's very scared of strangers cox someone dropped her and caused her legs to break :x so I didn't manage to get anywhere near her. Another shot of lola cox she's so cute ! She can sleep on anyone's lap hahaha.